Longboat Key is an offshore barrier island running roughly north to south and enclosing the western boundary of Sarasota Bay in Southwest Florida. The island’s eastern shoreline has dense mangroves except where canals have been dredged and marinas built. The western shoreline consists of a white sand beach on the Gulf of Mexico. On both the north and south ends, Longboat Key is separated from neighboring islands by deep water passes from the Gulf to Sarasota Bay. St. Armands Key and Lido Key lie just south of Longboat Key and West of Sarasota. Lido Key is bordered by Sarasota Bay on the East and by the Gulf of Mexico on the West. St. Armands Key is surrounded by Lido Key on the West and Sarasota Bay on the East. Longboat Key, Lido Key and St. Armands Key are directly connected to each other by bridges. 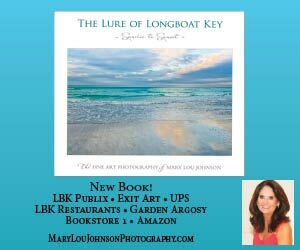 Longboat Key lies in two counties- Manatee on the northern half and Sarasota on the southern half. The island was incorporated as a township in 1955 and is governed by a seven member Town Commission, each serving a two-year term. The Mayor is elected for a two-year term by the Town Commission. Administration is under Town Management with a full complement of departments; building, planning & zoning, finance, town clerk, police and fire/rescue. Additionally the Town maintains coorperative relationships with police and fire rescue in neighboring communities. 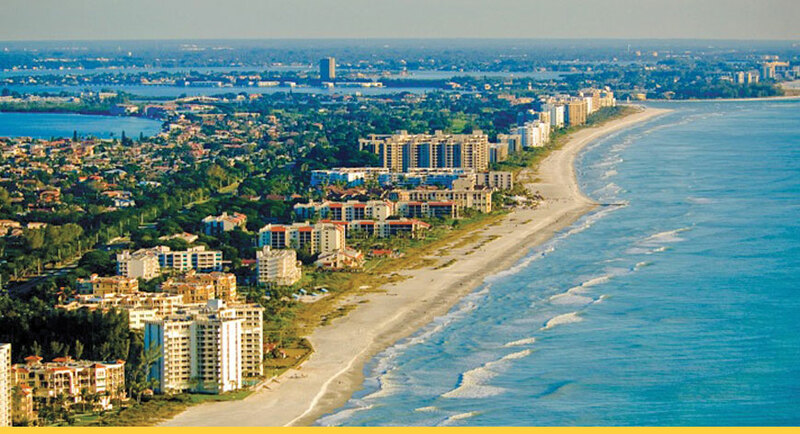 Lido Key and St. Armands are both in Sarasota County and are governed by the City of Sarasota. 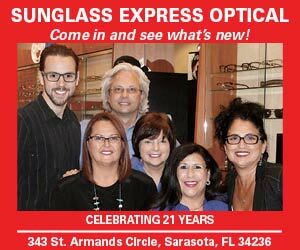 The Sarasota City Commission consist of five elected commissioners. The Mayor and Vice-Mayor are chosen by the Commisson and serve one year terms. All elections are non-partisan and Sarasota has a Commission Manager form of governement. The Commission appoints a City Manager. City departments include police, public works, building, zoning and code compliance, finance, housing and Community Development, Van Wezel Performing Arts Hall, Planning and Engineering. Longboat Key’s primary transportation element is Gulf of Mexico Drive (S.R. 789), a state highway classified as “urban minor arterial” running from the northern to southern ends of the key. All other roadways are Town-owned two lane streets connecting to Gulf of Mexico Drive. St. Armands Key’s primary transportation element is S.R. 789 which takes you around St. Armands Circle into Sarasota. Other roadways on St. Armands Circle are city owned. Lido Key’s primary road is Ben Franklin Drive which is just west of Blvd of the Presidents on St. Armands Circle. All other roadways on Lido Key are owned by the City of Sarasota. The Intracoastal waterway runs through Sarasota Bay and is accessible from Longboat from both the Gulf passes and numerous channels on the island’s bayside. There is public bus transportation serving the islands from Sarasota County. The Sarasota/Bradenton area has an international airport, extensive bus service, major state highways and the interstate highway system. On Longboat Key there are 60 full-time employees in Police and Fire-Rescue Departments. All Fire-Rescue personnel are certified paramedics or EMT’s. Average response time of Fire-Rescue is only three minutes. Lido Key and St. Armands Key are under the jurisdiction of the City of Sarasota. Police Department and Fire-Rescue is through Sarasota County. Sarasota County has 127 Fire-Rescue personnel serving Lido Key and St. Armands Key and response time is just under three minutes. The City of Sarasota assigns four police to cover St. Armands Key and Lido Key, one of those four officers are present 24 hours a day 7 days a week. State sales tax is 7% in Sarasota County and 6.5% in Manatee County. However, medicines, medical services and most food items are exempt. Sales tax rates for transient rentals are 10.5% in Manatee County and 10% in Sarasota County. Area property taxes average 2% of assessed valuation, which is construed as market value. Taxes are assessed as of January 1 each year by the city, county and/or special taxing districts. All property taxes are conveniently combined in one bill due in November and delinquent if not paid by April 1 of the next year. Each person who owns and resides on real property in Florida on January 1 and makes the property his or her permanent residence is eligible to receive a homestead exemption up to $50,000. The first $25,000 applies to all property taxes, including school district taxes. The additional exemption up to $25,000, applies to the assessed value between $50,000 and $75,000 and only to non-school taxes. You must have a deed, Florida Drivers License, voter’s registration or Declaration of Domicile to apply. Renewals are made through the mail and are automatic unless your status changes. Tangible Tax – Business property is subject to Florida’s Tangible Tax, which includes everything used in performance of your business except real estate. All businesses whether individual, partnership or corporations, which control, manage, lease or own any tangible personal property such as furniture, equipment, computers, machines, etc. must file a tangible tax return prior to April 1 of each year. Failure to do so will result in a fine. The islands have a mix of residential condominiums, single-family homes, mobile homes and tourist units. This housing reflects the areas popularity as a haven for retired and working residents, winter residents and tourists. Sarasota Bradenton International Airport, just east of Tamiami Trail (US 41) on the Manatee/Sarasota County line, is a convenient 30 minutes from Longboat Key. Carriers include Air Canada, Air France, Air Tran Airways, Jet Blue Airways, KLM, United Airlines and US Airways. Commuter service is provided by air Sunshine & Conair. For information call 941-359-5200 or visit online at www.srq-airport.com. There are several hospitals located in both Bradenton & Sarasota.